Here are all the requirements / compatibility for Auto Unlock feature of macOS Sierra and watchOS 3 that you will need to make a note of. 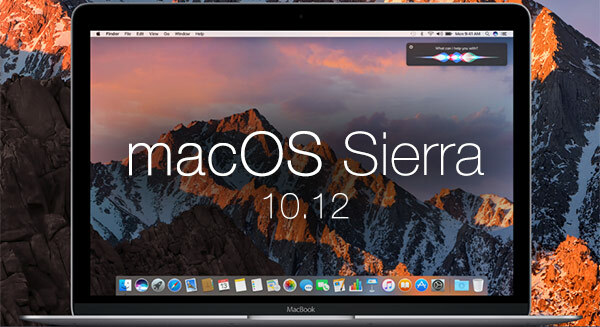 The name change from OS X to macOS to present a more converged experience with the company’s other software platforms is only one of a number of notable improvements in Sierra. Another, which Apple is choosing to call Auto Unlock, is a feature that has been garnering a lot of attention back since the original reveal at WWDC, so naturally, we’re going to take a deeper look at the requirements around the feature. For those that aren’t familiar with macOS Sierra, or who didn’t keep abreast of Apple’s announcements for one reason or another, it’s probably worth while giving a little insight into what the Auto Unlock feature actually is, and how it will benefit Mac and Apple Watch owners running Sierra and watchOS 3. 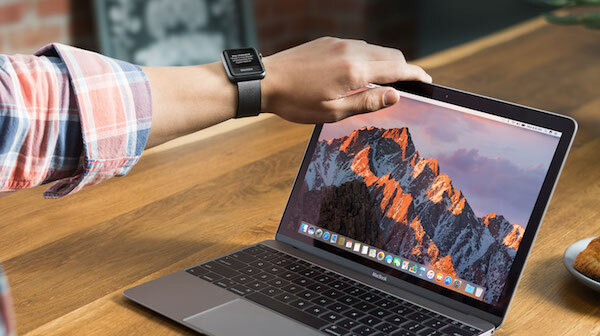 The crux of the new feature is actually very simple; it provides Apple Watch owners with instant access to a Mac running macOS Sierra without having to go through the process of entering administrator passwords and waiting for authentication. Wake the Mac up, have the Apple Watch there on your wrist, and the Mac is unlocked and ready to use. But what exactly are the requirements that need to be in place to be able to use Auto Unlock on a Mac? Well, we obviously know that the Mac in question needs to be running macOS Sierra, which is common sense considering it’s feature unique to that platform. But as it turns out, having a Mac running macOS Sierra isn’t enough. The Mac needs to be 2013 model or newer. Also, users will need to have an Apple Watch running watchOS 3 or later, as well as an iPhone running iOS 10 or later. The Apple ID/iCl0ud account that is used on the devices will need to have Two-Factor Authentication enabled (NOT Two-Step Verification), and of course, all three devices will need to be signed in with the same iCloud account and Apple ID for the process to be successful. You can find instructions on how to enable Two-Factor Authentication on your Apple ID/iCloud account here: Enable Two-Factor Authentication On Apple ID / iCloud, Here’s How. If all of those requirements are in place, then you should be good to go with one of the more notable features of macOS Sierra. Is it the Bluetooth 4.0 that is the hardware side? Apparently my loaded up “late 2012″ 27” iMac isn’t capable. Great. I haven’t gotten this feature to successfully work in spite of meeting all the requirements. Anyone else gotten it to work? Is it visible under Security & Privacy tab -> General? If it’s simply a software restriction I’m sure we’ll see someone develop a utility to enable it on older machines. My mid-2014 MBP seems to be working correctly and displaying the option. Well I have a Macbookair 2011 so I am out. I think its actually the WiFi protocol that needs to be better than “n”. Auto-unlock does NOT work on all 2013 Macs. I have a MacBook Pro (Retina 15-inch, Early 2013) with macOS Sierra installed. I have an Apple Watch 2 with watchOS 3 installed. I have an iPhone 6 with iOS 10 installed. I have enabled 2-Factor Authentication for my iCloud account. I have also researched this quite extensively in the Apple Support forums, and there are dozens of other reports of people with my setup not being able to even see the option to enable auto-unlock. Does it work with the non Retina 2012 MBP?